Can you believe that how cute this entire Tsum Tsum skincare collection is!! 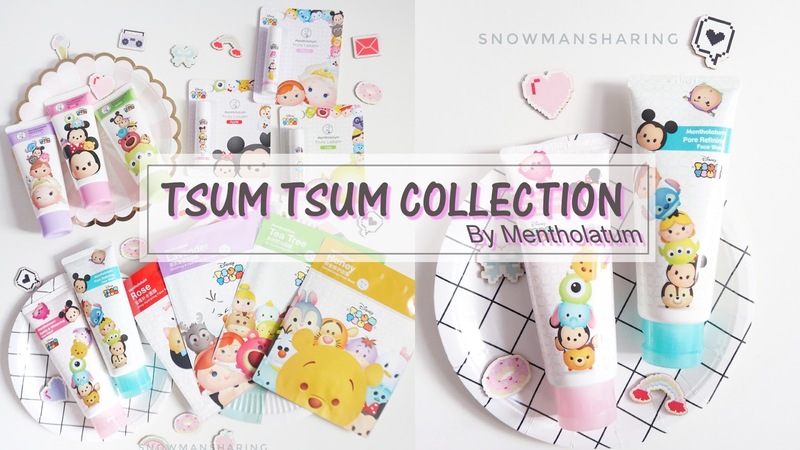 Tsum Tsum fans will be delighted with the newly launched Tsum Tsum Collection by Mentholatum. The Mentholatum Tsum Tsum collection definitely has one of the most “kawaii-looking” packagings among all beauty care items in the market. Isn't this entire collection look so adorable when it puts together? Even though I am not a fan of Tsum Tsum however I am really a sucker for packaging, seeing this entire collection makes me feel so happy! Rose (Deep Hydrating Face Mask) combines 4 types of super moisturizing ingredients and Hyaluronic Acid to provide intense 24-hours long lasting hydration to the skin, making it more firm, supple and smooth. Contains Wild Soybean Seed extract & Natural Yeast extract to help strengthen the skin's natural protective barrier and smooth away roughness leaving the skin feeling velvety soft, supple and dewy moist. This mask is suitable for dehydrated skin. 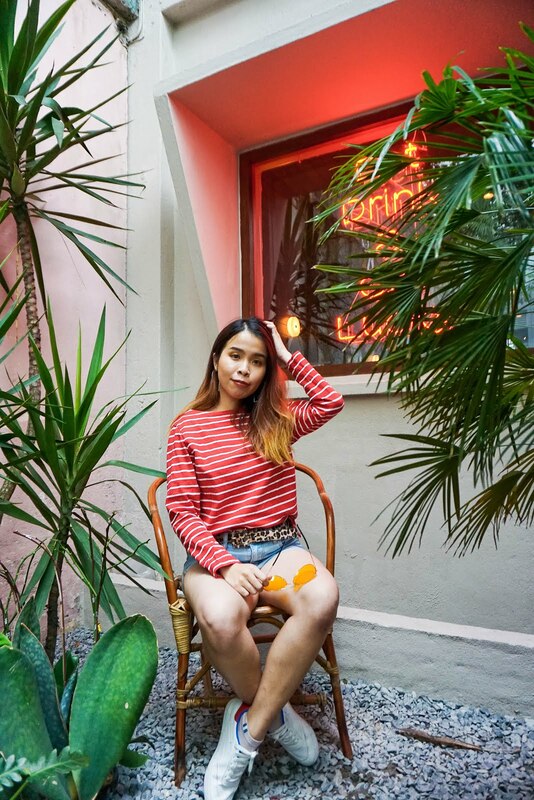 Tea Tree (Oil Controlling Face Mask) combines Chrysanthemum Flower extract, Houttuynia Cordata, Wild Soybean Seed and other natural ingredients to effectively control excess oil, minimize pores for a more refined and hydrated skin. It contains Hyaluronic Acid and Tea Tree extract to help boost skin moisture retention level and oil control. It also helps to minimize the appearance of fine lines thereby keeping the skin soft and smooth. It is suitable for oily and blemishes prone skin. Available in three variants of Rose, Lavender, and Jasmine – the Mentholatum’s Tsum Tsum Hand Cream contains ultra moisturizing Almond Oil and Sunflower Seed Oil as well as other moisturizing ingredients to help nourish, protect and ensure a more youthful-looking skin. Skin feels hydrated and smooth as you massage the hand cream into your skin while the relaxing flower scent calms you after a long hectic day. Apart from hydration, the hand cream also helps strengthen the nails thus preventing them from becoming brittle. Mentholatum Tsum Tsum Fruity Lipbalms contain Vitamin E, Argan Oil, Meadowfoam Seed Oil and other moisturizing ingredients that deeply hydrate and nourish the lips. The ultra-smooth and lightweight texture combined with the refreshing fruity flavor of Apple, Lime or Peach melts on your lips for long-lasting moisture – keeping the lips soft, smooth, healthy and protected from the harsh environment and extreme weather. 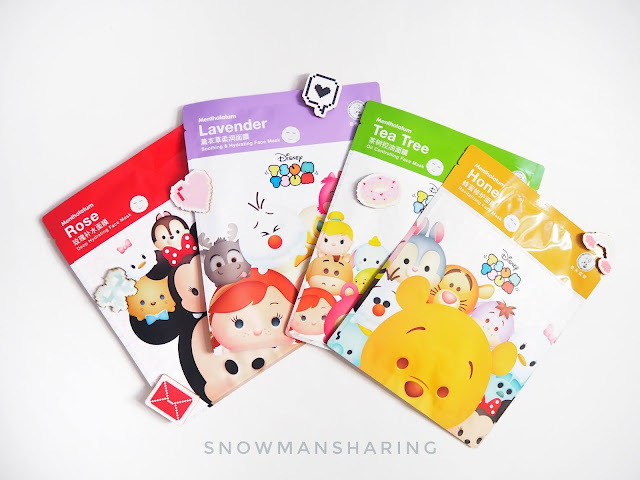 Available at Watsons, AEON Wellness, Caring and Sasa nationwide, the Mentholatum Tsum Tsum collection includes facial sheet masks, fruity lip balms, hand creams and face wash.
Love your pic so much. My cousin is a fan of trump tsum. Gonna get these for her birthday this coming Sat. Thank you for your sharing. 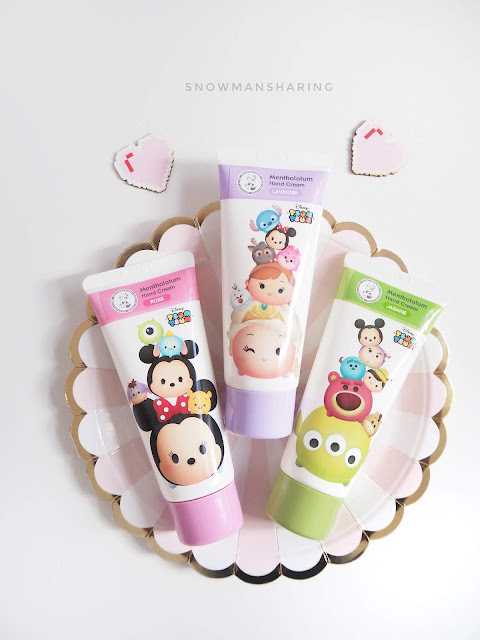 Even though I am not a Tsum Tusm fan, I am still very attracted to this collection of skincare products. I might just get a couple of items when I next shop at Watsons. I finished all the handcream . Love this range not only kawaii, good too. The face mask is daebak! Yes!! I don't dare to use because is too cute!! Wow these are soo cute. I am sold just by seeing ther packaging. I wish these will be available as well in the Philippines. I like the packing! It so cute and can keep as collection!